One person wants more mathematics educators like her husband. Another wants the College of Education to have a more diverse community. And a third wants others to follow in his late wife’s footsteps and support multicultural education. So all three made recent gifts to endow scholarships to support students in the College of Education who demonstrate the college’s mission to ensure the educational success of all students and to reduce achievement gaps. The donors share why they made their gifts in the briefs below. The College of Education won the Chancellor’s Creating Community Award in 2017 for its exceptional efforts and contributions in the areas of equity, diversity and inclusion — in part because of COMID’s work. 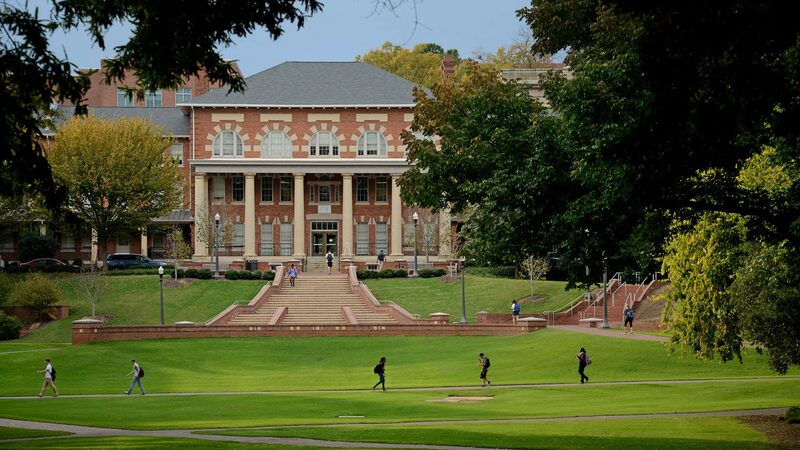 A faculty member within the NC State College of Education wants to help build a more diverse community within the college that reflects the population of North Carolina. To even their own surprise, the faculty member is doing that by endowing the Council on Multicultural Initiatives and Diversity (COMID) Scholarship through a planned gift of $25,000 and through annual current gifts to begin supporting the scholarship and students now. “I never knew endowing a scholarship would be a possibility; but by structuring the scholarship as a planned and current gift, it was simple and feasible,” said the faculty member, who wished to remain anonymous. “I hope it’s something more people will consider. 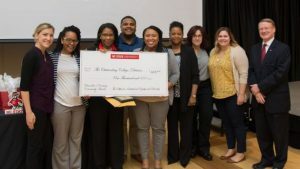 The scholarship provides need-based support to undergraduate students in the College of Education, particularly those from underrepresented groups and those who demonstrate a commitment to work with the African American community. The scholarship is named in honor of COMID, a group comprised of faculty, administrators, deans and students formed in 2007 to support, build and maintain a diverse community within the College of Education and to implement strategies that prepare future educators to be citizens of the world. Your gift, no matter the size, will directly benefit students and help prepare them to advance the College of Education’s mission to ensure the educational success of all students and reduce achievement gaps. Jo-Ann Cohen, a professor of mathematics at NC State, loves the NC State College of Education’s commitment to breaking the hold of poverty and providing access to higher education. She also wants to see more teachers like Hyman Cohen and Daniel Teague in the world. They are her father and husband, respectively. 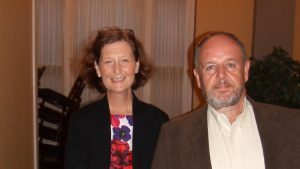 So she and Daniel ’97 PHD have pledged $25,000 to endow the Jo-Ann Cohen and Daniel Teague Mathematics Education Scholarship to support undergraduate students in the College of Education who are majoring in mathematics education. Cohen’s father, the late Hyman Cohen, taught sixth grade in the inner city of Baltimore for 40 years and taught citizenship courses to immigrants at night. Daniel Teague has taught mathematics at the N.C. School of Science and Mathematics since 1982 and has influenced the teaching of high school mathematics around the country. He completed his Ph.D. in mathematics education at the College of Education. The late Dr. Jenny Penney Oliver ’77, ’83 MS had a passion for teaching, research, learning and service; and she spent much of her career supporting future educators. Now a scholarship her husband, Steve Oliver ’77, ’83 MS, has established in her memory will support students in the NC State College of Education who share her passion. The Dr. Jenny Penney Oliver Scholarship will benefit students committed to multicultural education and who will be agents for education innovation and student enrichment. “She was extremely active in encouraging multicultural education in schools and at NC State, and that was one of the reasons I wanted to create a scholarship in her memory — to honor her passion for and contribution to excellent education,” Steve Oliver said. After receiving her bachelor’s in psychology from NC State, Jenny Penney Oliver was a psychologist assistant at Broughton Hospital in Morganton, North Carolina; earned a master’s in adult education from the College of Education; and worked at Kansas State University, where she earned her Ph.D. in counselor education and educational psychology. She later was a faculty member in the University of Georgia’s Department of Counseling and Human Development Services. She received the college’s Outstanding Alumni Award in 2004.